Meet Dug, a dog with a great sense of responsibility. 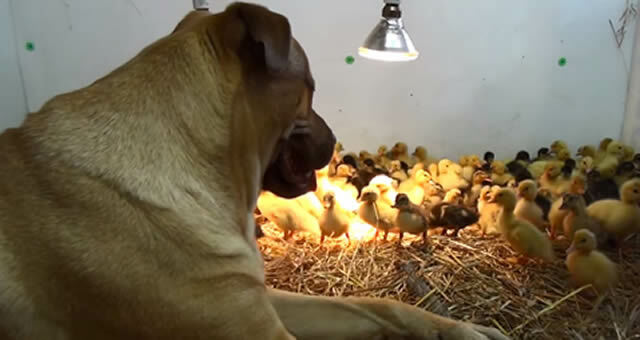 There was no way he was going to abandon these 207 ducklings and leave their lives to fate. Even when they were barely hatched, he made them feel safe and welcomed them to the world. Dug discovered his own sense of fatherhood with fascination. Some of the chicks just couldn’t understand why their mother had suddenly got so big.